Recently, I received an email from a reader of this blog who is aligned with PODS® . In his e-mail, he wrote that PODS had recently helped with a storage and retrieval project. “Please let me take this opportunity to thank you and Manny for your cooperation in helping us through this storage and retrieval project. You and your company have been more than professional in every way. It is always a pleasure when plans come together the way one wishes, and with your help, our plans did just that. We aren’t one’s to toot our own horn, but we love making our customers happy. Kinda like when you get a great haircut, or a nice car wash, with PODS, we will make your move or storage process as easy and convenient as possible. As exciting as the idea of a newly remodeled home might seem, the process can be unpredictable and overwhelming when construction begins. 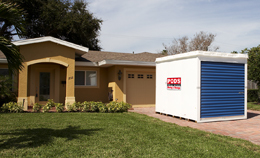 PODS® is a great solution for homeowners since the storage containers can be placed onsite as close as your driveway. Why is this important? Because it allows immediate access and eliminates trips to an offsite storage facility, saving you time and money! 1. Plan ahead and do plenty of research. Tour homes and showrooms for ideas you might like to incorporate into your remodel. Keep a file of clippings you like. 2. Prepare for the unexpected by leaving extra money in your budget and additional time for unforeseen problems, because they always do. 3. Rely on the experts. Major reconstruction requires a licensed contractor to ensure your home is compliant with building codes. Contact your local association or union for referrals. 4. Since PODS is the best moving and storage idea, ever — rent a PODS® container to store your personal belongings and household items during the renovation. 5. Keep and open mind during the remodel process. Remember, soon you will be able to relax and enjoy all of your hard work! 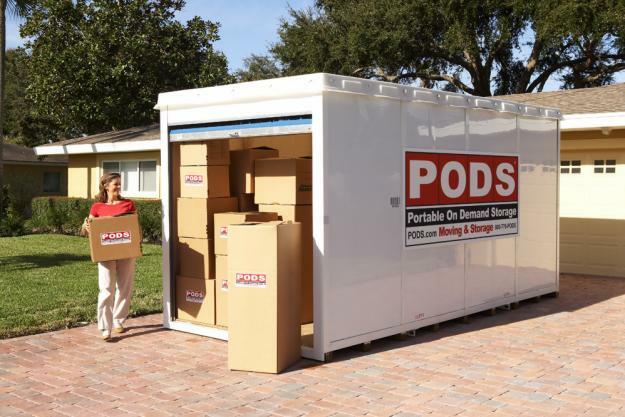 With PODS® You Don’t Need a Truck to Move! Imagine my surprise to discover that someone on Planet Earth actually has no idea what PODS® is, or what they do (insert my rolling eyes here). A friend was at a chamber breakfast last week and won a gift certificate for 6 months of free storage at a local PODS storage center. When she called and asked me if I knew what PODS was I almost fell off my chair. She said there was no way she could use the prize because she didn’t have a truck to take everything to the storage center. Ok folks, here we go…..
ME: Delores! You do not have to drive anywhere! 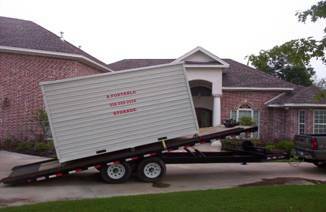 They bring a PODS® storage container to your house when you schedule and deliver to your driveway if that’s where you want it placed. You can keep it for a few days or a few weeks and load whatever you want inside. Then PODS will pick it up and transport it back to their really big garage and keep it for 6 months. DELORES: Oh, really. I did not know that, I thought we had to use a truck like the other storage places. So the PODS people will come to my house and I don’t have to drive it anywhere? ME: No! It is awesome! So, are you going to keep your prize? DELORES: Oh, yes! My husband will be so happy about this! I fly often across several states and often pre-plan my trips to visit family. Like most frequent flyers, I much prefer booking a nonstop flight from Point A to Point B. There are literally thousands of airline flights to fit my schedule. It is staggering, but when I sift through all the listings and can book the flight I want at a price I can live with, I am satisfied. It occurred to me on a recent flight that PODS® also allows its customers to transport all their stuff from one place to another, booking a storage container when they need it and at a great price, too. Here is how it’s done: You order a PODS® container. It is delivered when you want. You pack it up at your leisure, lock it and call PODS for retrieval. Then, sit back and enjoy your peanuts and pretzels as your belongings are transported to your final destination (new home, new college ornew city). PODS, like my nonstop flight, is direct shot from Point A to Point B, and this is something customers can get onboard with and appreciate. Pretty much anything that disrupts a household in a major inconvenient way is not pleasant. Where we usually have a routine to getting kids ready for school or ourselves ready for work, the flow is redirected, and not in a good way. I don’t like not being without my belongings for a long period of time, but when a kitchen fire broke out (I promise it was not my cooking that did it!) we were forced to enlist contractors for a remodel. Along with walls and flooring, our furniture and personal belongings needed to be removed from the downstairs living areas. There was no place to store all of this stuff in the garage so we called PODS. We had a 12-foot storage container delivered to our home, which we promptly loaded so construction could commence. A few days later the container was picked up and taken to the PODS® storage center about 15 miles away. A month later, we had a new kitchen. Our storage container was re-delivered with all of our furniture still tucked inside just as we packed it. Thanks to PODS patented lift called PODZILLA® not one thing shifted or toppled over to or from each destination. 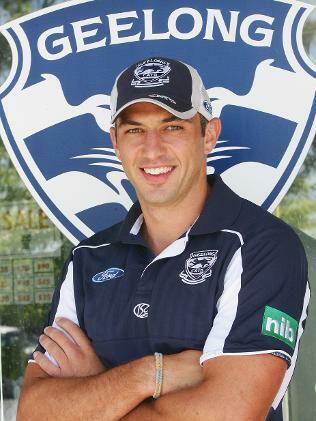 PODS is one smooth operator, but not in a Barry White kind of way.